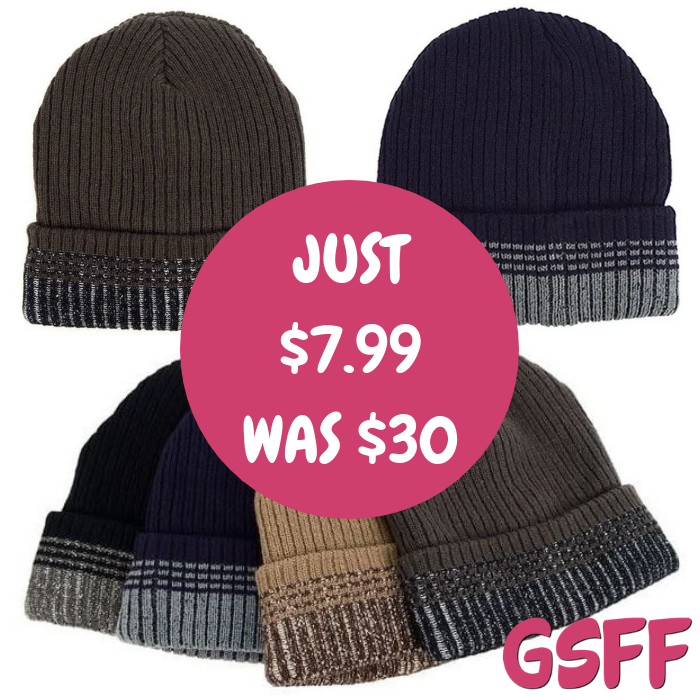 Men's Beanie Hat Just $7.99! Down From $30! FREE Shipping! You are here: Home / Great Deals / Men’s Beanie Hat Just $7.99! Down From $30! FREE Shipping! Men’s Beanie Hat Just $7.99! Down From $30! FREE Shipping! Head over to Jane to score this Men’s Beanie Hat for just $7.99 down from $29.99 PLUS FREE shipping! This is perfect for the winter season whether a gift or personal use! Plush felt lining for the most extreme weather and add extra warm stretchable.